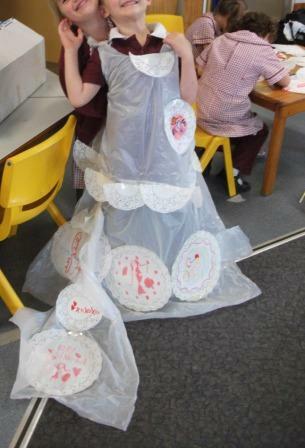 Wedding fever has descended upon our classroom. We have 6 brides preparing to marry their 6 grooms in a wedding extravaganza, and just like any other wedding there is lots to do. 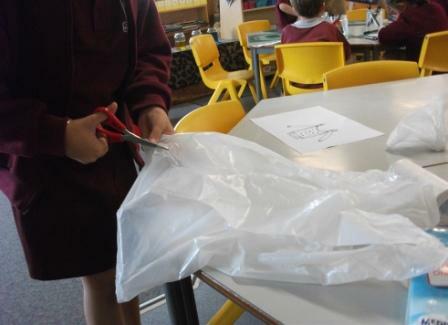 Fortunately we have a class full of preppies ready and willing to help. 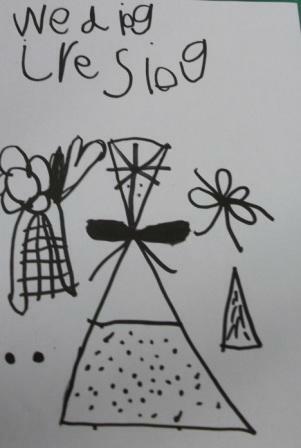 The builders are constructing a castle, the wedding cake decorator has been researching designs on the internet and of course there are the dresses! 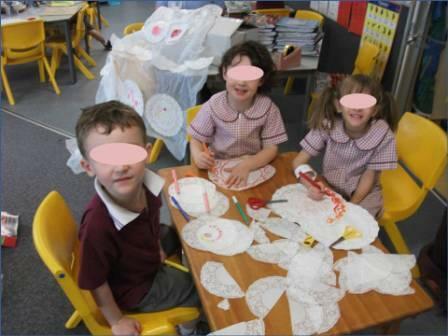 The creation of the wedding dresses is a mini industry of it’s own in the classroom. 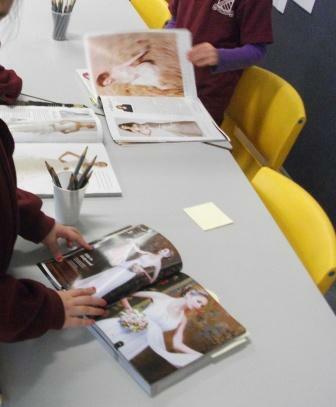 Firstly the brides consulted wedding magazines to decide on the features of their dress designs. 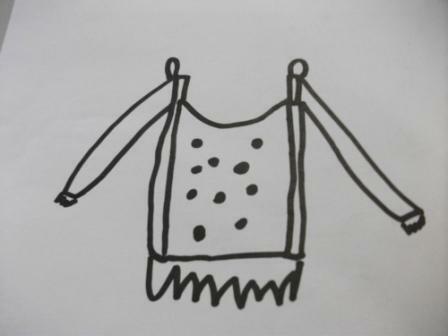 Sketches were made and our resident dress designer created a book of drawings as well. 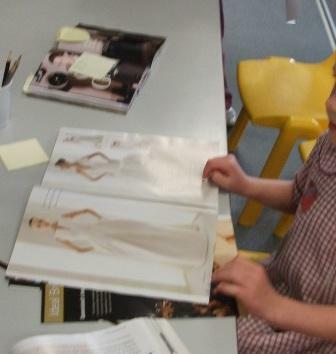 The brides consulted with the dress designer and looked at her design book. After a lot of consideration, the creation of each bride’s perfect dress began. Lots of fittings were involved. This bride decided she wanted lots of lace and our lace designers set to work. 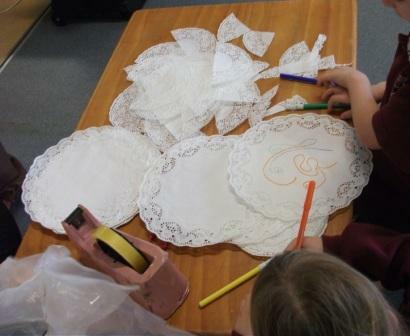 It takes a long time to get the lace just right. The bride needed another fitting once the lace was attached, to make sure it was where she wanted it. 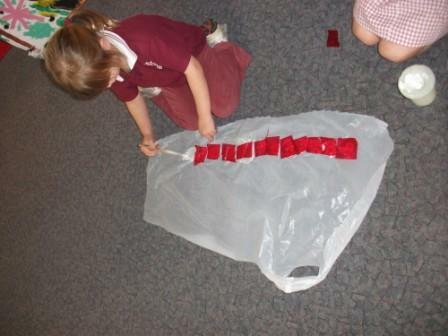 The dress’ train also needed to be checked to see if it was long enough. Perfect fit. Now for dress number two. 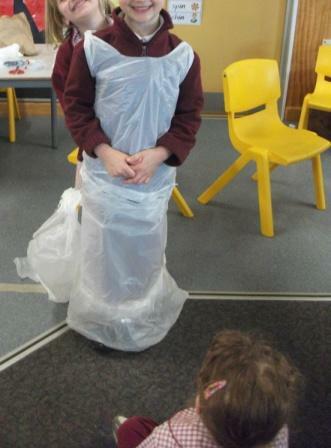 This wedding dress has sleeves and required lots of thinking and problem solving. 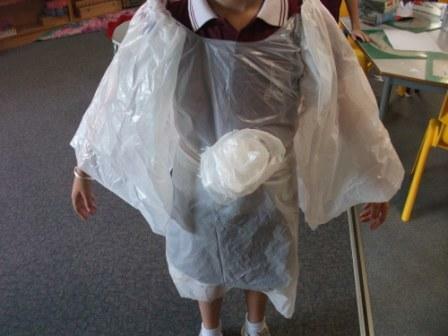 It also needed a lot of fittings to make sure the sleeves were not too tight. The bride also added a flower to the waist of her dress after watching our florists making paper flowers for the bridal bouquets. She recycled the dress scraps so her waist flower would match. Just like most brides she changed her design again, to incorporate flowers all along the hemline. 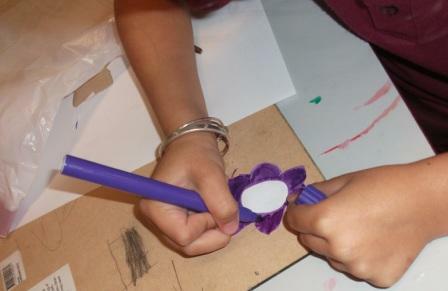 Fortunately she asked a lace maker to help and together they set about making the flowers. 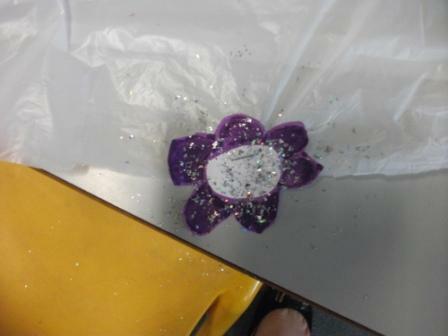 Glitter was added for sparkle. 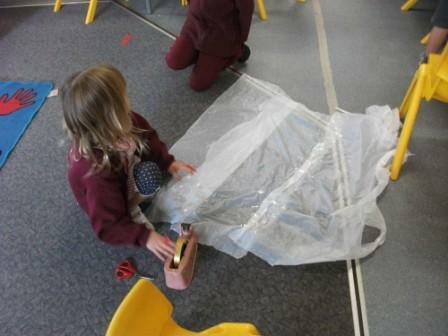 She chose silver because she is planning on wearing silver jewellery with her dress. Work on this dress will continue tomorrow.I heard talk of a pattern of purple and blue flowers all around the hem. 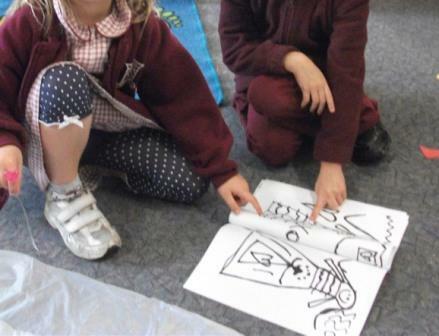 Earlier today we had looked at photos of weddings in other cultures. 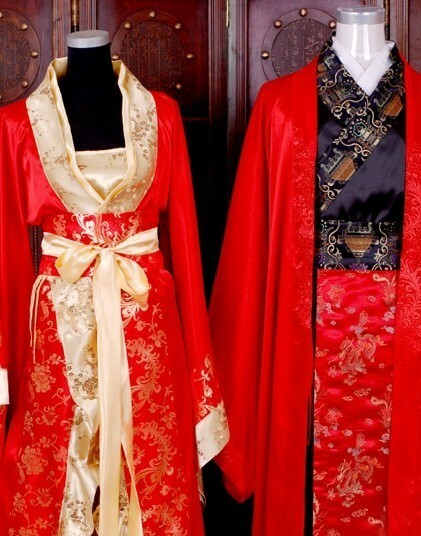 Our next bride decided she would like a red Chinese wedding dress. After drawing red rubies all over her design, bride no.3 changed her mind and decided upon a white dress covered in red rubies. 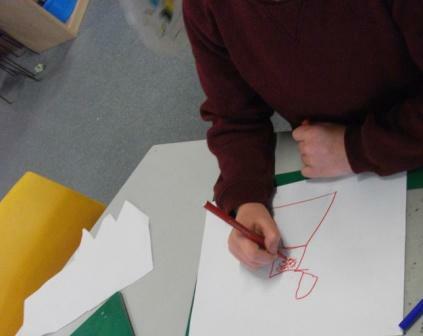 Whilst discussing this idea with the dress maker, the designer suggested a 1 shouldered dress and the design was redrawn. Once the top of the dress, including the 1 shouldered design, was made. Rubies were added. 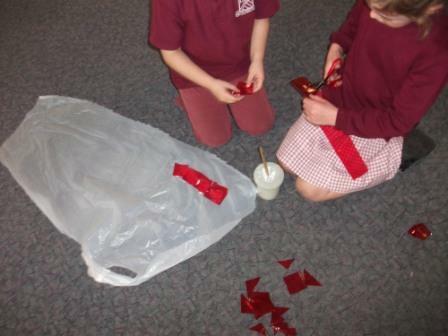 This involved an indepth discussion about where the rubies were to be placed and if they were going to be in a pattern. and will continue with the design tomorrow. It’s been almost a week of wedding preparations and we are seeing lots of progress. We are almost half way through making all 6 wedding dresses and each one seems to be a little easier to make than the last, although the designs seem to be getting more elaborate. The grooms decided that all they needed were bow ties and quickly made them on the first day of wedding preparations. 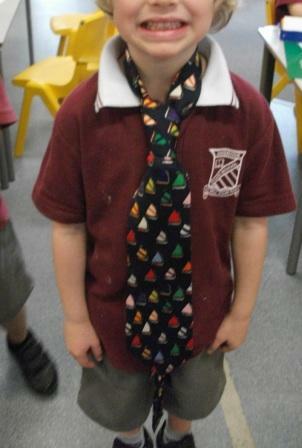 They try them on almost every day and one child, who was not happy with the tie he made, has brought in a tie from home. He puts it on at the start of each play session. Another groom, who is a knight in the castle, has made a book about knights “to read to my bride after the wedding” (his exact words!) We are very fortunate that our grooms have lots of castle preparations to make, suits of armour to polish and horses to make and ride because just like with most weddings, they are waiting for the brides to complete their preparations before the ceremony can take place. Stay tuned later in the week for photos of the completed dresses and a Prep Wedding update. Friend or Foe? Decoding Magic Stones.